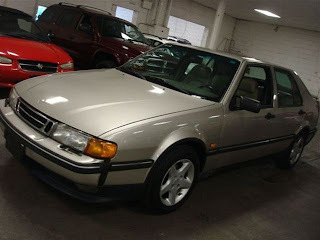 1995 Saab 9000 CS - The 9000 was one of the "Type Four chassis" cars. The Type Four chassis platform was jointly developed by Saab, Fiat, Lancia and Alfa Romeo. The Fiat Croma, Lancia Thema and Alfa Romeo 164 are other Type Four chassis cars. This car is a 9000cs, or second generation 9000. The body is sleeker than the original and the engines more powerful. This car has Saab's 2.3 liter 175 HP turbocharged engine in it. It's a 5 speed, which makes it very fun to drive. It appears to be in very nice condition. Located in Cherry Hill, NJ, click here to see the eBay listing. 1991 Honda Beat - My gut tells me that the seller is asking more than this car is worth ("Reason for selling - if I get my price - is to buy an airplane"), but I had to post it because it's such a cool and unusual car. The Beat was produced by Honda from 1991 until early 1996. The design came from Pininfarina, who sold it to Honda. The engine is a 3 cylinder 660cc unit. It has an 8500 RPM redline. Each cylinder had a separate throttle body, a system Honda called MTREC (Multi Throttle Responsive Engine Control). This is a small car. It's 6 inches shorter in length and 2 inches shorter in height than a chrome bumper MG Midget. Located in Wimauma, FL, click here to see the eBay listing. 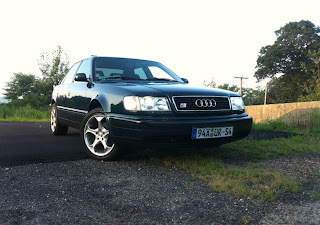 1994 Audi S4 - Not many of these cars were sold in North America and none were sold with a 6 speed manual transmission. This 1994 S4 has a 6 speed transmission from 2001 S4. It also has a chip which the seller claims gives it 290 HP. What I like about this car is the complete lack of exterior "go faster" goodies. If it drove past you it would be easy to mistake it for a stock S4 or even an Audi 100. 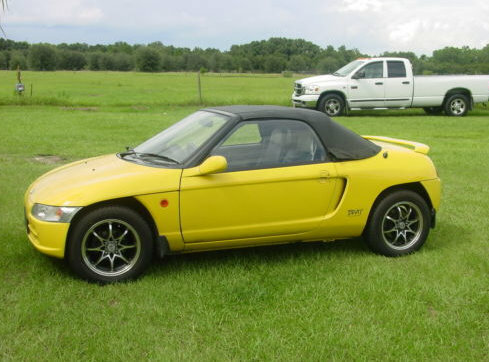 The seller writes, "I want this car to go to an enthusiast like myself", which no doubt it will. Located in Waterbury, CT, click here to see the eBay listing. Yeah, no surprise that car has a Florida title. Not that I've ever seen a vehicle be driven around here that I know shouldn't have been titled but managed to get it anyhow. Although, I was at least pleasantly surprised recently when I saw both an Alfa GTV and a 3rd generation Alfa Spider on the road near where I live. Oh, and those other two vehicles are cool too.